A nutrient essential to living, protein is made of amino acids and is required to stay healthy. Unlike carbs and fats, protein contains sulphur and nitrogen required by every cell in the body. Since human body has no storage system for protein, this macro-nutrient needs to be taken every day. Children, expecting mothers, seniors and fitness enthusiasts have increased protein needs. How much protein to build muscles? 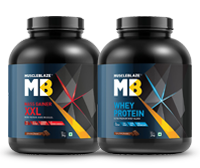 Essentially, this question is on the mind of anyone who is new to training and fitness or has certain muscle building goals, you need to know the best protein source for putting on muscle mass. Moreover, should you get your protein fix from your diet or you need supplements? The recommended dietary allowance predicts the bare minimum protein needed to prevent muscle loss. For an average sedentary adult, the protein requirement is 0.8g per kg of body weight. All proteins are not equal. That?s the reason proteins are evaluated against Protein Digestibility Corrected Amino Acid Score (PDCAAS). The foods that have the score of 1.0 are the best proteins to have, as the body is completely digests and absorbs such foods. What amino acids are present in a protein food also decides the quality of the protein source? A high-quality protein contains all 9 essential amino acids that the body can?t process. Three foods have a perfect 1.0 score and are the best proteins to build muscle whey, soy and egg white. Most fitness enthusiasts wonder if foods are enough or they need protein supplements. As a fitness beginner trying to build muscles, you may find it difficult to get the requisite proteins from foods alone. The problem compounds if you have a fast metabolism and a small appetite. Whey is a high-quality dairy derived protein and provides more protein per serving than food, minus the fluff factors like carbs and fats. Relying on a protein supplement makes your task easier of meeting the protein needs. 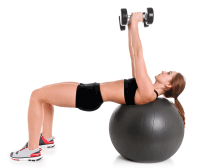 Training in the gym puts considerable strain on your muscle tissues and they break down. Since muscles are made of proteins, you need to provide this essential nutrient to begin the muscle repair activity in the affected muscle tissues. Within 45 minutes of your training, a quick-digesting protein shake, like whey provides critical amino acids which help in new muscle synthesis. Moreover, whey protein gets absorbed faster than other forms of protein, which means it also increases muscle protein synthesis and speeds up fat loss. However, what needs to be understood is that proteins don't directly cause fat burn. They add on muscles. When combined with proper weight training whey protein helps build muscles and assists in fat loss. No wonder, whey is the best protein powder to build muscles across fitness beginners and muscle building pros. The body has to be in a positive nitrogen balance whole day round for various reasons, be it repair and growth or post workout, which makes consumption of protein a whole day process. However, it?s important to have protein at these times. Pre-workout: Research suggests protein taken about 30 minutes before exercise may prime your system with the nutrients you need for growth and recovery. Post-workout: Undeniably, this is the most important time for protein. Of the many factors influencing the body?s ability to recover from intense training, post-workout nutrition is one of the most critical. Before bed: While you sleep, your system doesn't, and requires nutrients to carry on metabolic activities. Moreover, on the days you train, it's important to have protein before bed as the bulk of recovery takes place while you are catching some sleep. Between meals: Protein between meals promotes satiety, keeping serious hunger and cravings at bay for longer periods of time. Protein keeps your insulin levels stable thereby sparing you trips to the snack- vending machine during mid-morning and afternoon. Getting up in the middle of night to have a serving of protein might sound freaky but can be of immense help to keep your body in positive nitrogen balance.